A report of HIGH importance (European Central Bank Rate Decision) is due to be announced today at 12.45pm. Markets tend to trend sideways prior to reports of High Importance. 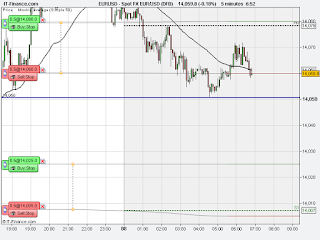 A pending BUY order has been placed just above the Pivot Point at 14080 and a pending SELL just below S1 at 14005.